Mini tacos are the best. 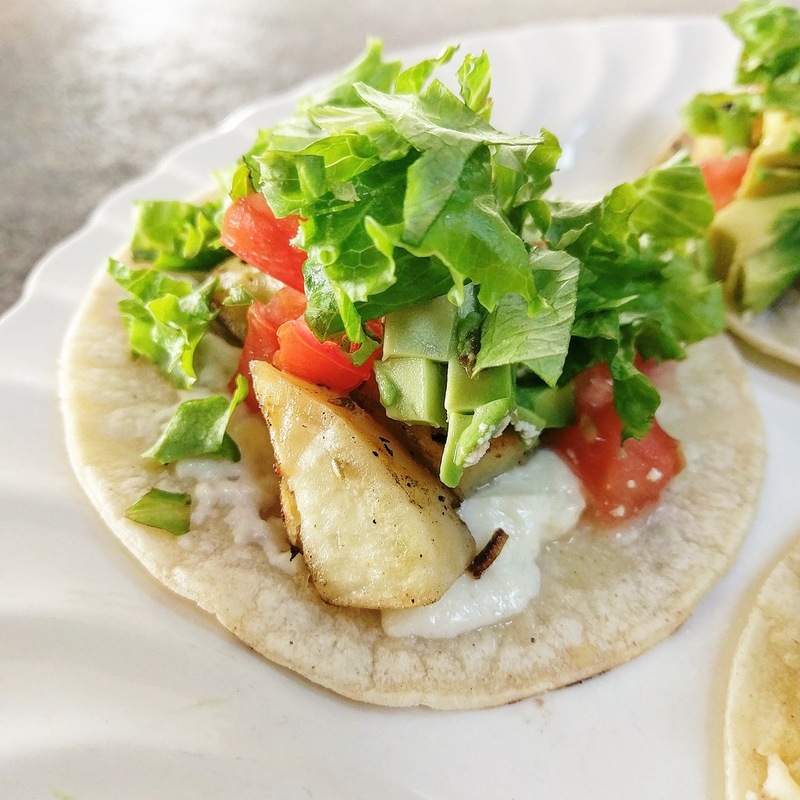 I bought these 4in round corn tortillas from Fred Meyer and can't stop using them. I thought for sure they would be too small but the reality is they are just right. Sweet Potatoes make a great alternative filling to meat. The sweetness countered with any spice you add to your taco sets the tone for a yummy experience. The sweet potatoes can be baked the day before and reheated for a quick and easy dinner on the go or midnight snack. School keeps me up at night and midnight snacks are once again something I contend with. The cool thing about tacos is they can be layered with a variety of toppings to create a variety of flavor profiles. Overall, the mini's are just fun! They look cute on your plate and are just the right size to hold. A couple of bites and your done. On to the next one. To prepare my sweet potatoes I preheated the oven to 400 degrees. Cubed them about all the same size and tossed them in a bowl with: oil, salt, pepper, garlic, and onion powder. Baked until crispy on one side. My oven took about 45 minutes. The tortilla's I heated on my cast iron griddle for a few seconds on each side. No oil needed. I precut the toppings and grated our favorite cheese. 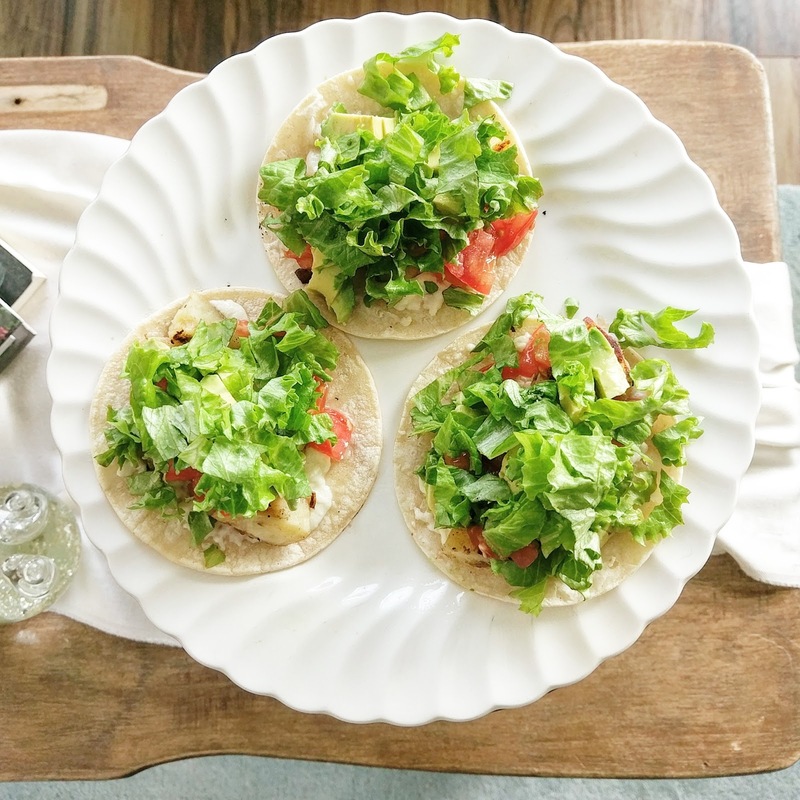 We each made our own taco's using which ever toppings suited our fancy at the time. Then, we went back for seconds. Another easy dinner idea and option for busy parents and families on the go.